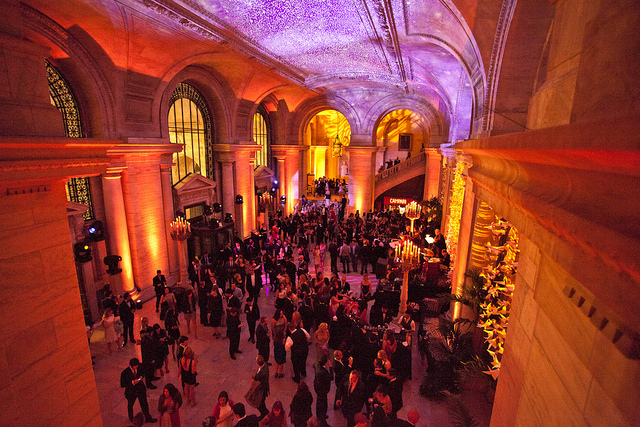 At the opening gala of the fourth annual Manhattan Cocktail Classic (MCC) last week, some 3,000 decked-out cocktail enthusiasts and bar professionals descended on the New York Public Library for four floors worth of creative libations (87 different cocktails in total, mixed by world-renowned bartenders), musical acts, dancing, performance art and general revelry. So, what was new at this year’s gala? 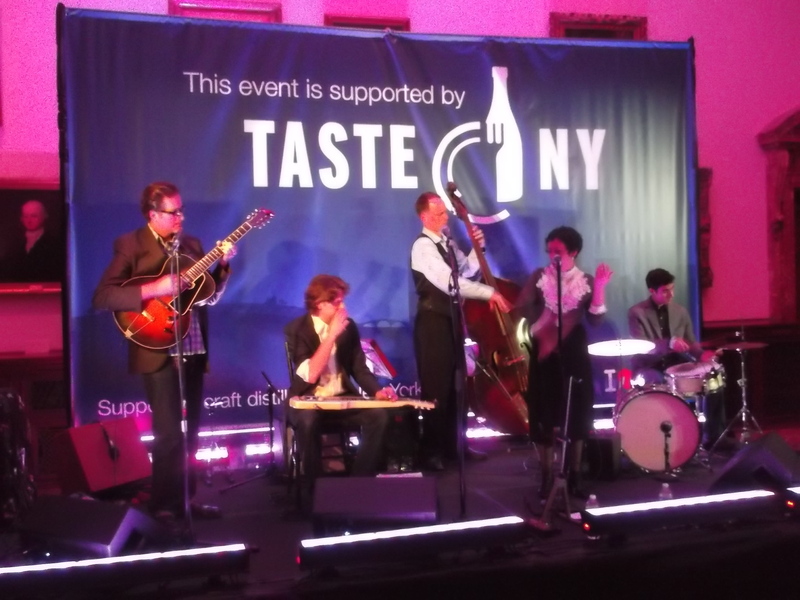 For the first time, New York State’s burgeoning craft distilled spirits scene — represented by some two dozen distilleries — came together on the same floor and under the “NY Taste” banner at the MCC. This fulfilled an earlier promise by Governor Andrew Cuomo, made at an October 2012 New York State Wine, Beer and Spirits Summit, to ensure that alcoholic beverages produced in New York State are featured at major consumer events, aiming to level the playing field with big name brands. “We pledged that the state would step up to the plate and help bring these world-class products to world-class venues, and with two dozen local distilleries participating in this year’s Manhattan Cocktail Classic, we are delivering on that promise and showing that our efforts are paying off,” said Governor Cuomo in an announcement shortly before MCC kicked off. 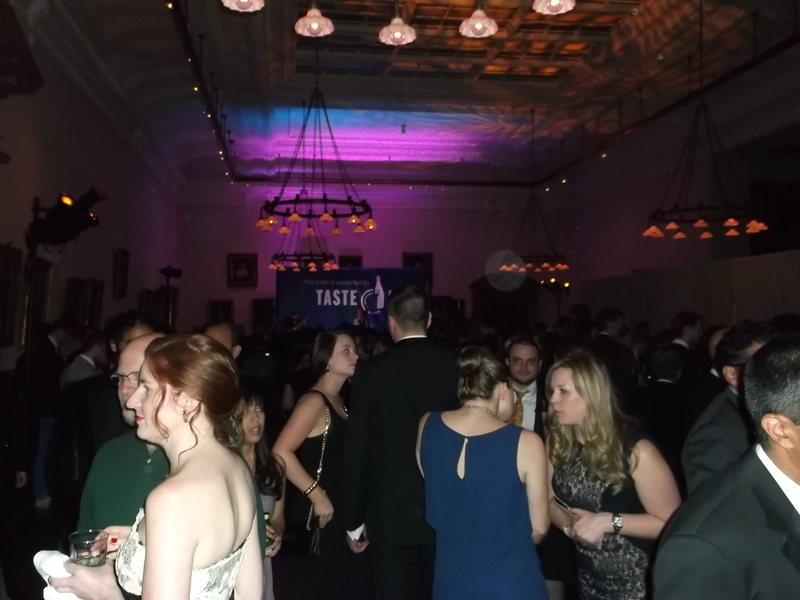 With a 20-minute wait to enter, the third floor “Taste New York” room was clearly a gala hot spot. Brooklyn, a hotbed of micro-distilling, made a strong showing at the Taste NY pavilion, fielding eleven Borough distilleries. The Hudson Valley, with ten participants, was also well-represented, including: Albany Distilling Company (Albany); Black Dirt Distillery (Warwick, Orange Co.); Catskill Distilling (Bethel, Sullivan Co. ); Coppersea Distilling (West Park, Ulster Co.); Dutch’s Spirits (Pine Plains, Dutchess Co.); Harvest Spirits (Valatie, Columbia Co.); Hillrock, (Ancram, Columbia Co.); Prohibition Distillery (Roscoe, Sullivan Co.) StilltheOne Distillery (Port Chester, Westchester Co.); and Tuthilltown Spirits Farm Distillery, Gardiner, Ulster Co). 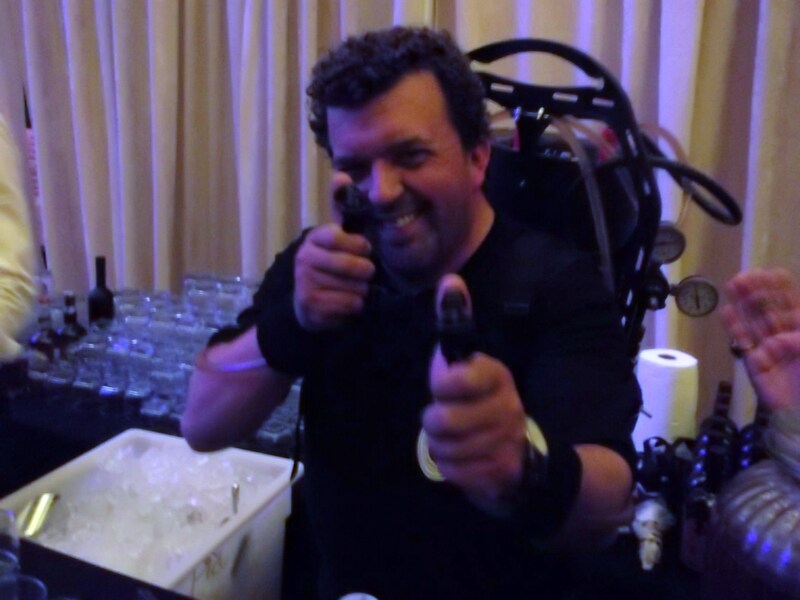 In possibly the most innovative cocktail mixing/dispensing set-up of the gala, Ethan Kelley of Dutch’s Spirits fashioned an effective, pressurized backpack rig to serve lightning quick samples of the refreshing, citrusy Stissing Mountain Punch, comprised of Dutch’s Spirits Sugar Wash Moonshine, Aperol, grapefruit juice and sparkling wine. Tuthilltown, the Hudson Valley distiller that pioneered New York State’s spirits renaissance in 2003 — and current title holder of “Best Spirit in the Hudson Valley” (for its Hudson Four Grain Bourbon) — naturally brought its well-known whiskeys to the fête. But Tuthilltown is no longer alone; the number and quality of New York State’s whiskeys are on the rise. Case in point: Hillrock Estate in Ancram, NY, one of the few “field-to-glass” whiskey operations anywhere. And its Solera Aged Bourbon, apparently the world’s only fractionally blended Bourbon, a brainchild of Master Distiller Dave Pickerell (formerly of Maker’s Mark), is stunningly good. Redolent of dried fruits, peppery spice and smoky vanilla, this is a sipping Bourbon par excellence, full of complexity and layered flavors. Coming soon from Hillrock: Estate Single Malt and Estate Rye whiskeys. I enjoyed the Three Sisters Punch from Kings County Distillers, a savory punch fashioned by Justin Lane Briggs of Gin Palace, featuring Kings County Moonshine, toasted corn, lemon, jalapeno, sage and finished with Kelso Pilsner. Great interplay of ingredients (especially the sage and jalapeno). 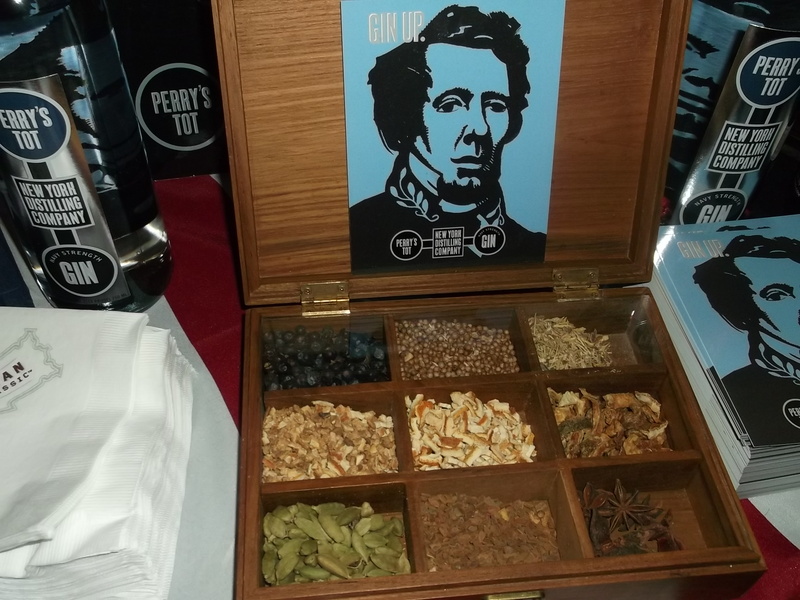 But my hands down favorite New York potation of the evening was New York Distilling Company’s 700 Songs Gimlet, made with its Perry’s Tot Navy Strength Gin. Combined with fresh lime juice, simple syrup, cinnamon syrup and Bittermens Hellfire Shrub, the overproof gin made for a classic, balanced cocktail that showed off Perry’s Tot’s compelling botanical essences. 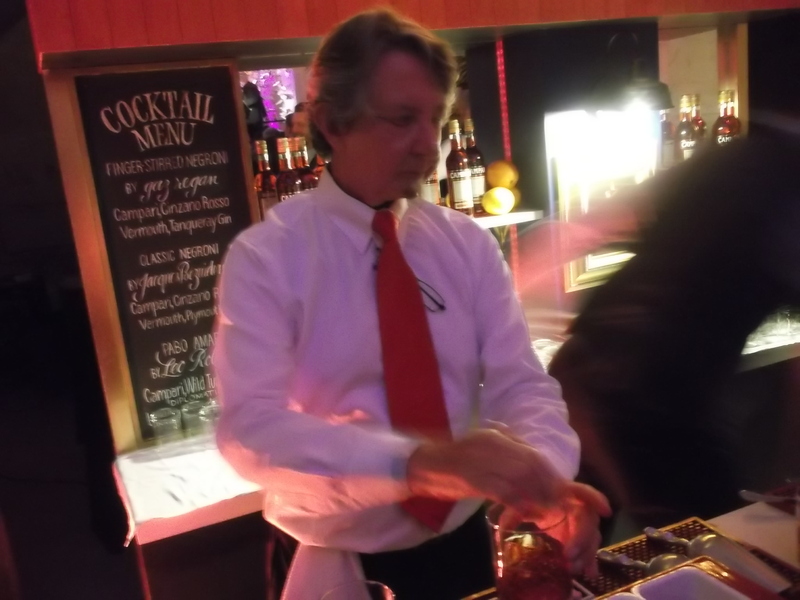 Speaking of botanicals, I couldn’t leave the event without paying a visit to Campari’s Negroni bar, where the legendary Gaz Regan was serving up his “finger-stirred” version — yes, literally stirred with his finger — composed of Campari, Cinzano Rosso Vermouth and Tanqueray. 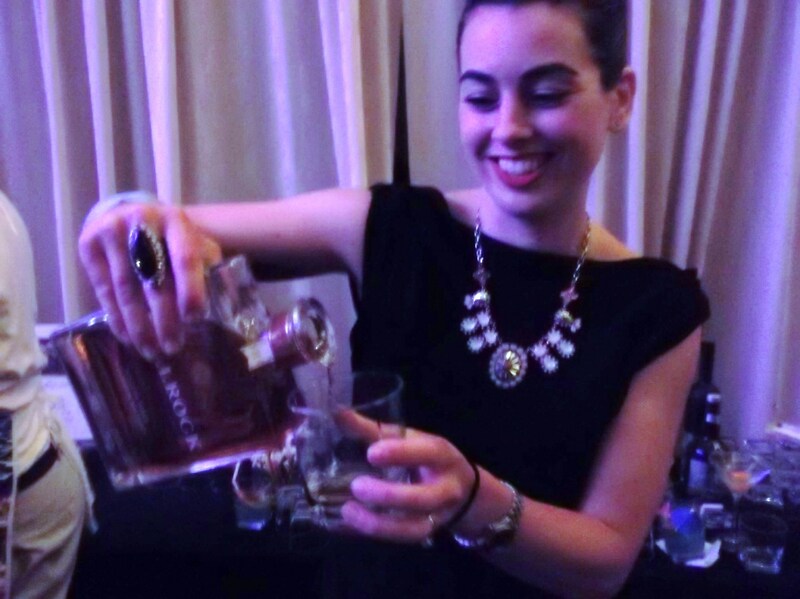 At the Gala, a prelude to five days of sold-out cocktail events, seminars and tastings across Manhattan, New York State distillers showed that they can more than hold their own, celebrating locally produced spirits in an unprecedented way. This entry was posted in Hudson Valley, NYC Events, Spirits + Cocktails and tagged Dutch's Spirits, Ethan Kelley, Gaz Regan, Governor Andrew Cuomo, Hillrock Estate Solera Aged Bourbon, Kings County Distillery, Manhattan Cocktail Classic 2013, Negroni, New York Distilling Company, Taste NY. Bookmark the permalink.